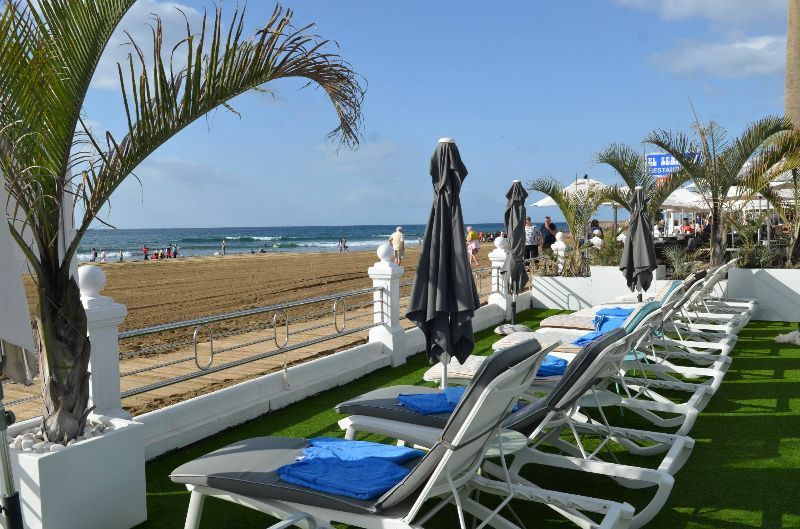 Restaurant El Senador is located on the beach of Maspalomas on the island of Gran Canaria, in beachfront. 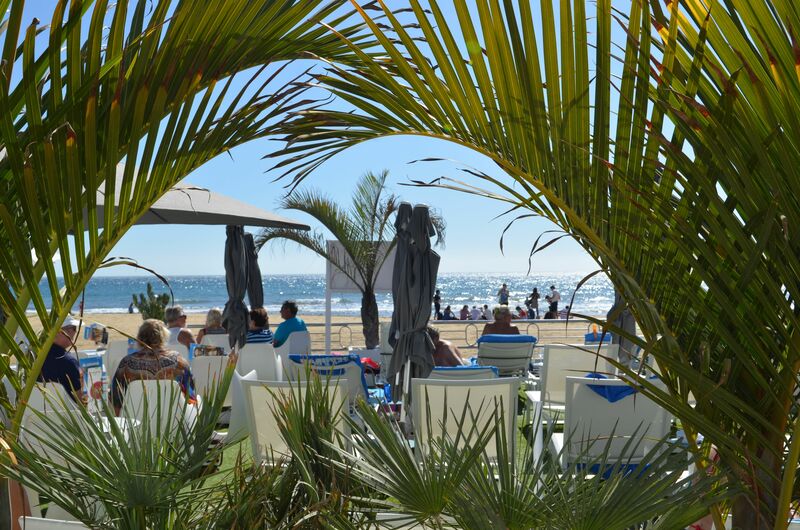 Enjoy an unforgettable day by the sea, in front of the beachof Maspalomas, with an aperitif in the Mojito bar, sipping ourseafood and international cuisine and listening to live musicat sunset on our amazing terrace overlooking the sea. 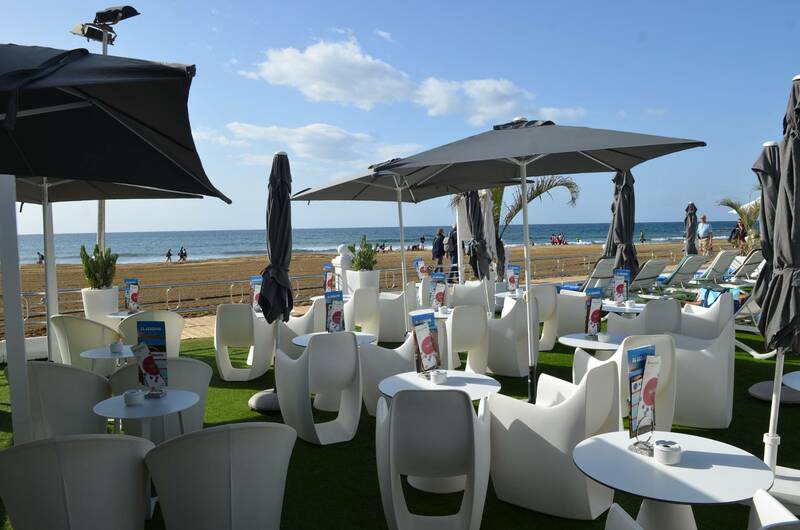 Our Mediterranean cuisine is based primarily on rice, paella,fresh seafood from Galicia and the Island, beef steaks, roast suckling pig in Segovia style without forgetting the Italian flavor with our famous homemade pizzas, pastas and a wide selection of salads. Our goal is to offer the highest quality and presentation in each dish based on the best raw materials. In our kitchen sailor style dial, the protagonists are the rice and the paella.Fresh seafood, tasty steaks current national and homemade desserts complete the menu of traditional cuisine renewed. 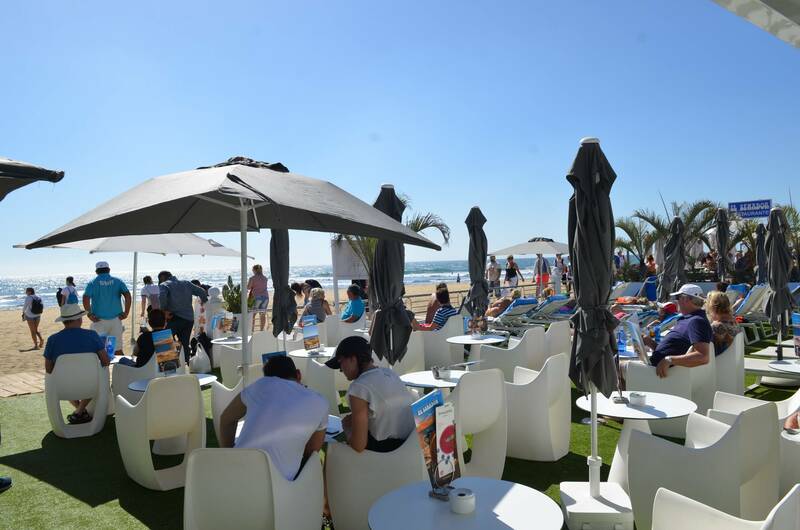 Social events such as birthdays, bachelor parties, anniversaries. 220 people in the dining room, over 240 people on our terraces. 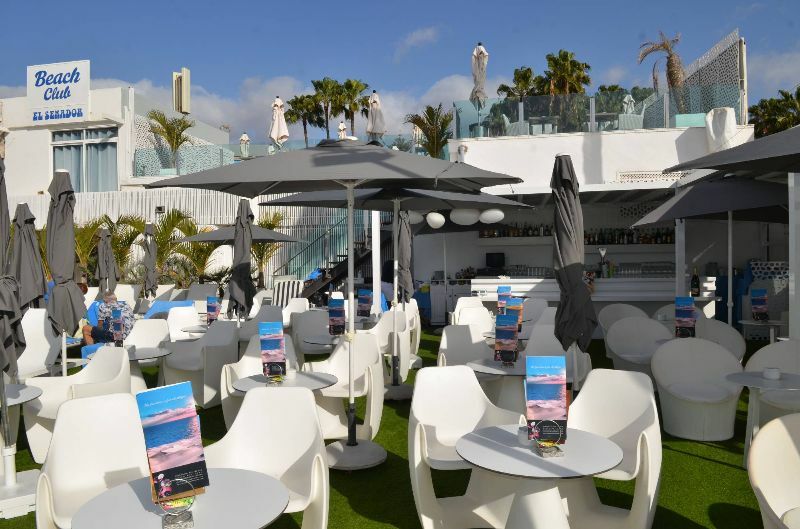 Our incredible terrace overlooking the sea. wrinkled potatoes with "mojo picón"
DESSERT: Creamy gofio "toasted corn flour"
We hope that our offer will enjoy it and feel free to communicate any desired change. DRINKS: ½ bottle of white wine per person "GREAT FEUDO"
Shot of cold cream "Vichisoise"
DRINKS: ½ bottle of white wine by staff Yaiza "Malvasia"